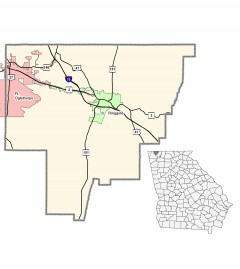 Catoosa County was created from parts of Walker and Whitfield counties. The name Catoosa is derived from the Cherokee “Gatusi,” signifying a prominent hill or point on a mountain. The name is well-suited to Catoosa County’s hilly landscape. The Georgia Winery, famous for its muscadine wines, is located in Catoosa County. 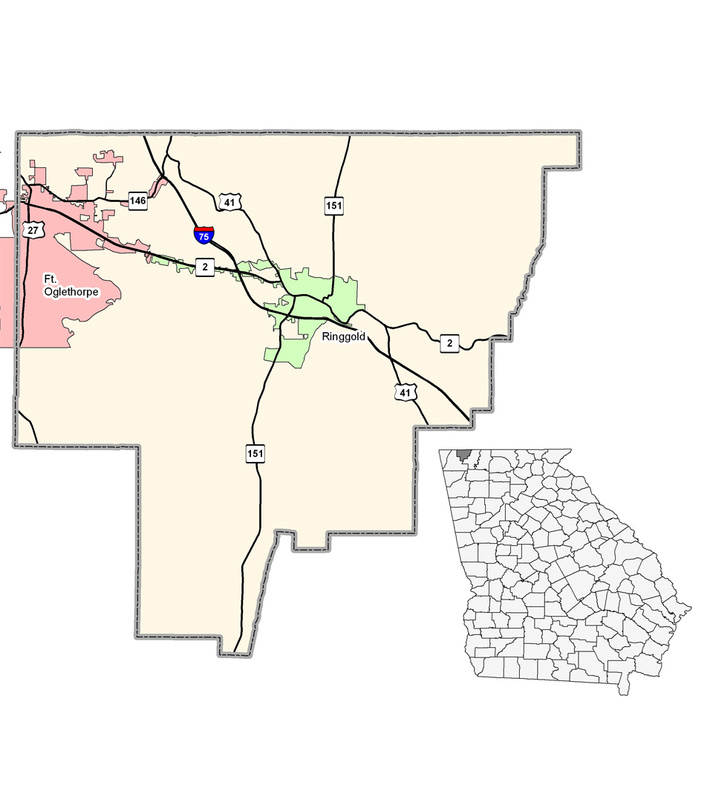 Although Fort Oglethorpe is the larger of the two cities, Ringgold is the county seat. Part of Fort Oglethorpe lies in Walker County. The town originally was an Army training center during the two world wars. After the training center was closed in the late 1940s, the city of Fort Oglethorpe was incorporated in 1949.